Welcome to the first official newsletter from The Wenches in Trenches! The ‘Wenches’ are a wonderful bunch of ladies from all walks of life, united in their unwavering support of raising awareness and funds for military related causes. Through these pages we will provide our supporters with a regular quarterly round up of our charity focus and fundraising initiatives. In 2014 – to coincide with the centenary of the start of WW1 – we took a big leap forward and launched a fundraising campaign under the charity banner of The Roses of No Man’s Land. The campaign will run for a total of four years (the duration of the Great War) with the ultimate aim of creating lasting memorials to the Nurses and VAD’s who served alongside our troops. In our view, they are among the many unsung heroes from that time, and without whom, many more husbands, sons and fathers would not have returned home alive. Raise awareness of the wonderful work of the Nurses and VAD’s of WW1 & WW2. In September, after many months of planning and organisation, the Wenches set off from England on a very special mission to lay wreaths at the Menin Gate in Ypres, Belgium. 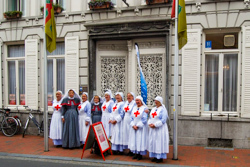 Dressed head to toe in replica nurse’s uniforms from 1914, the ladies stopped along the way to pay their respects to victims of WW1 at battlefield cemeteries in France and across Belgium. 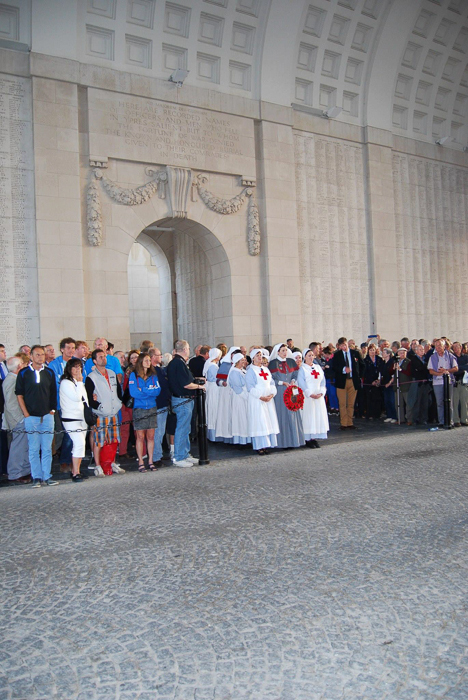 As you can imagine the wreath laying ceremony at the Menin Gate was extremely moving, and our Wenches – in their WW1 uniforms – were a very poignant addition to the many tributes that day. 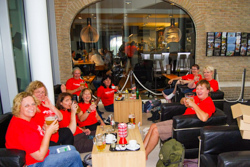 Our good friends in Ypres: Talbot House for providing us with a welcome and hearty breakfast, and The Ariane Hotel for their very generous gift of wonderful food, refreshments, and a well-deserved rest! 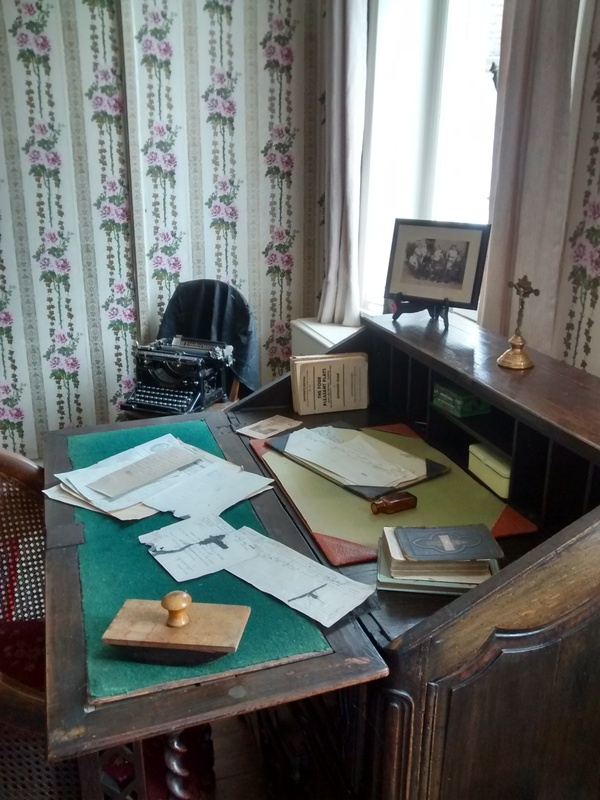 As a result of the funds raised from this year’s walk, we have been able to donate €1000 towards the refurbishment of Nurse Mcvie room at Talbot House in Ypres, Belgium. 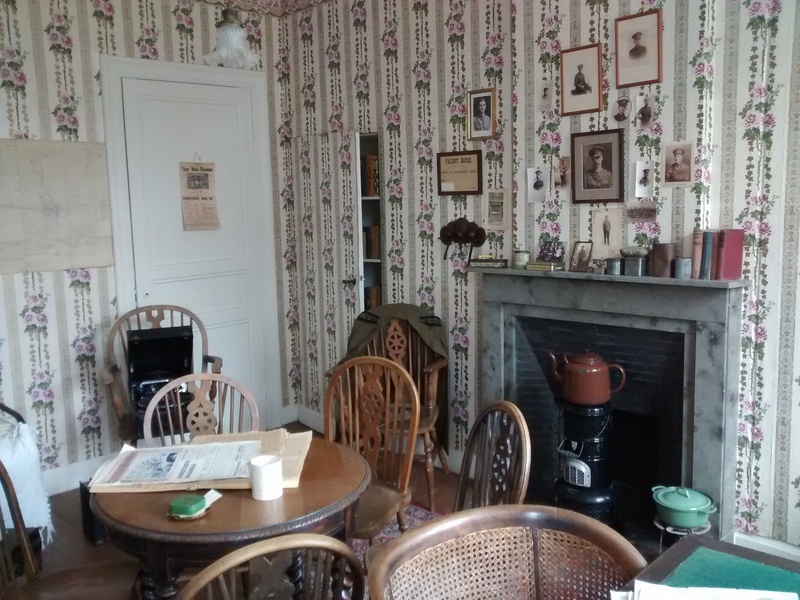 Talbot House dates back to the 18th Century and in 1915, after the house was struck by a German shell, the house was rented to the 6th division of the British army. Army Chaplain Philip “Tubby” Clayton opened a soldier’s club at the house as an alternative to the controversial nightlife in the city, making sure it provided a welcoming atmosphere for all, regardless of rank or status. The club was named “Talbot House” after Gilbert Talbot, who died in battle on 30th July 1915. Talbot became symbolic of the generation of young men who sacrificed their lives, and we are honoured to be able to contribute towards the upkeep of such an historic building. At the end of June 2015 a small number of Wenches will be attending The Somme Ball. This is a spectacular event and it is a great honour to be invited again. The ball precedes a very special dawn service at Lognagar Crater. 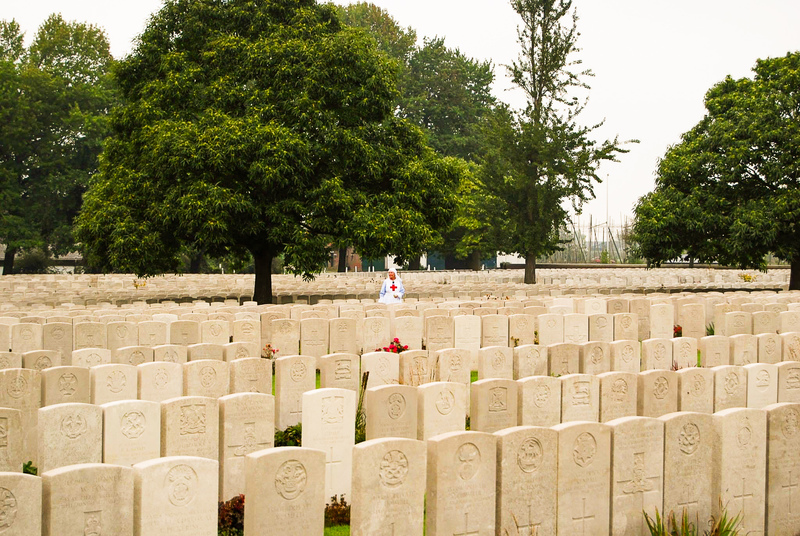 Whilst our fundraising is not restricted solely to sponsored walks, our Wenches take great pride in having the opportunity to honour those who sacrificed their lives during WW1 and WW2, and we will continue to journey across the battlefields to pay our respects. 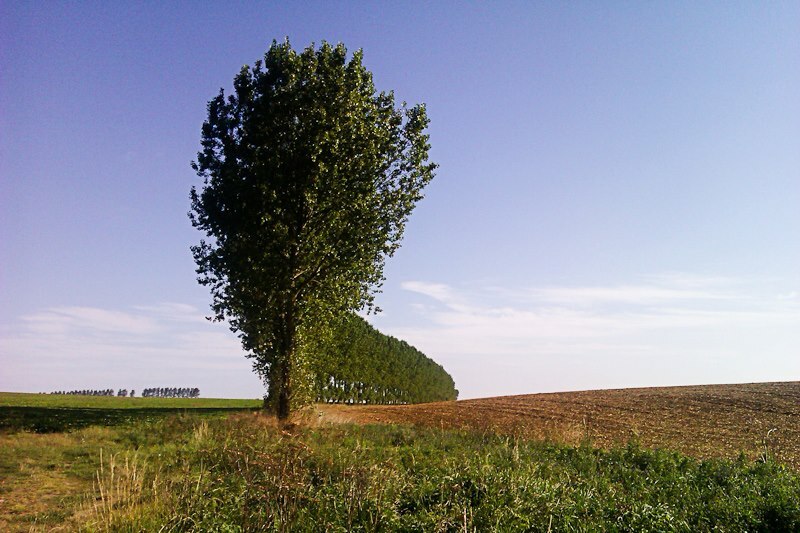 In September 2015 we will once again visit the Somme, and lay a wreath at Thiepval Memorial. If you wish to take part in this walk please keep an eye out on our website for more information. 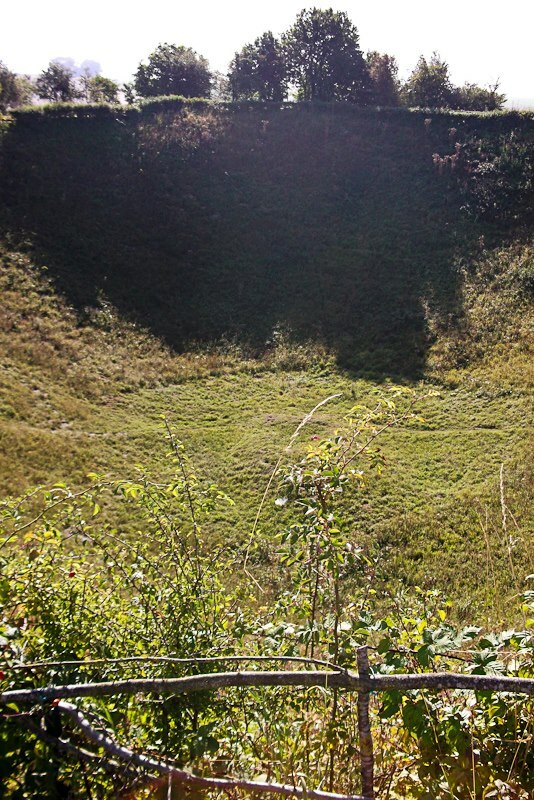 We are proud to announce that we have secured permission for the installation of our first lasting memorial, which will be situated at Lochnagar Crater on the Somme. This memorial will honour Nurses, VAD’s and medical personnel of all nationalities who served during WW1. 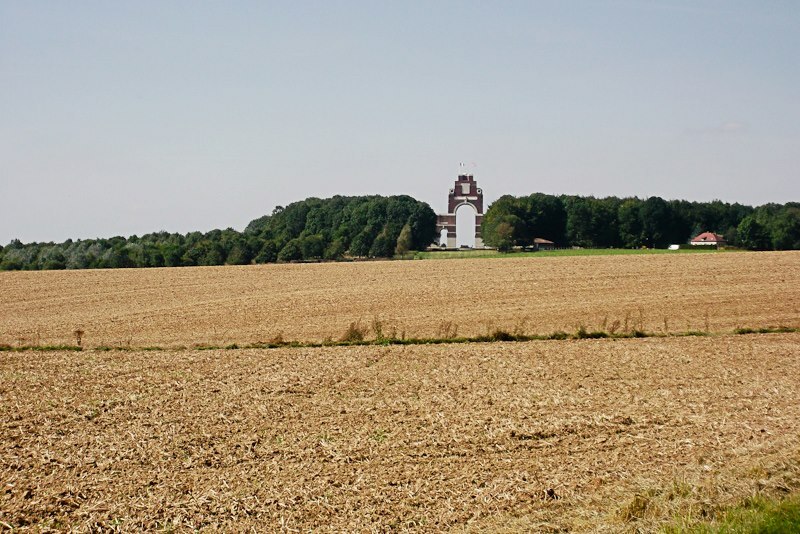 In November two of our Wenches made the trip to the Somme for the Remembrance Service at Lochnagar. While there they were able to mark out the site of the memorial and get some basic plans in motion. Keep checking back for more information as the project progresses. We have had a wonderful start to the Roses of No Man’s Land campaign, and we will continue to build on this success. In January 2015 we will forge ahead with planning further fundraising events and will announce these in due course. We hope that 2015 and beyond will be as successful as 2014. We look forward to meeting new ‘Wenches’ next year as well as those who have been with us on previous events. We continue to need your support and we thank you in advance. So for now we wish all our members and supporters old and new a very merry christmas and a happy and prosperous new year.